In 2015, Fa’amoana and his sons bared their souls to audiences all around Aotearoa with the award winning The White Guitar. 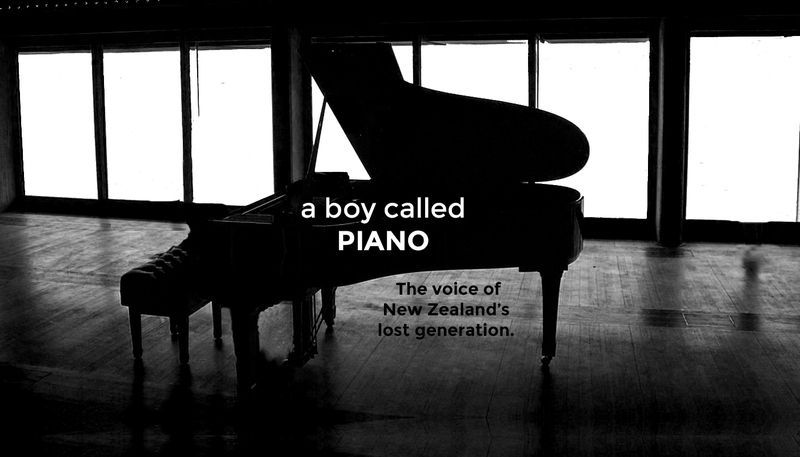 In 2018, drawing from his experiences and relationships formed through childhood, Fa’amoana reveals the story of A Boy Called Piano. The Conch are one of the country’s leading Pacific Theatre Companies funded through Creative NZ’s Kahikatea Investment Programme. Every year, the Artistic Program of The Conch is ambitious, challenging and set to break boundaries. Providing significant support and leadership to Pacific Arts here and abroad, its co-founders Nina Nawalowalo and Tom McCrory strive to create works that are ground breaking, of an international standard, and produced through intercultural collaboration and expressed through unique theatrical languages.